Lactose is a carbohydrate belonging to the group of disaccharides. It is contained in milk and dairy products. 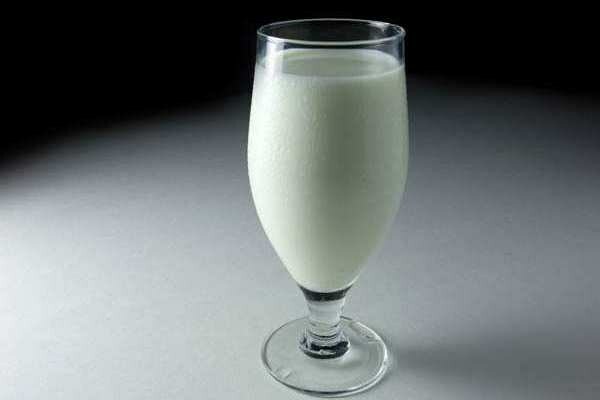 Lactose is good for the body, however, in some cases a person may develop a pathological condition characterized by intolerance to this substance. The main property of lactose is that it is a substrate for the propagation and development of bifidobacteria and lactobacilli, which are the basis of the normal intestinal flora. Thus, it is necessary for the treatment and prevention of dysbacteriosis. Lactose is a source of energy in the body, a powerful stimulant of the nervous system. It has a positive impact on development in children Central nervous system, normalizes calcium metabolism, promoting the absorption of calcium, supports balance of intestinal microflora. Lactose refers to the means of prevention of cardiovascular diseases, improves the process of producing b vitamins and vitamin C is a necessary component for the synthesis of various substances, giving the saliva the viscosity. Harm lactose can cause in that case, if the body does not have the ability to learn. This state appears in case of insufficiency of the enzyme lactase, it's called "lactose intolerant" (hypolactasia). In this case, the carbohydrate is dangerous for the body. Hypolactasia can be primary and secondary – acquired. Primary intolerance is almost always an inherited genetic abnormality. Acquired intolerance appears under the influence of the following factors: surgery on the stomach and intestines, dysbacteriosis, the transferred flu, inflammatory diseases of the small intestine, ulcerative colitis, Crohn's disease, celiac disease, Whipple's disease, chemotherapy. Lactose intolerance is manifested by pain in the abdomen, accompanied by swelling, in some cases, severe flatulence leads to uncontrolled release of digestive gases. Observed nausea, rumbling in the bowels, diarrhoea, appearing one to two hours after eating dairy products or food containing milk. Do not confuse lactose intolerance with milk Allergy. If you are allergic should not eat this product at all, otherwise the person will have the typical symptoms: itching, skin rashes, clear nasal discharge, shortness of breath, swelling and swelling of the eyelids. If hypolactasia symptoms will depend on the number of milk-based product, trapped in the intestine. When small amounts of lactose the body can break down, in this case, symptoms will be absent. If a person suffers from hypolactasia, it is not necessary to completely exclude from food milk and milk products. The average safe dose of lactose is approximately 4.5 grams, this amount is contained in 100 ml of milk, 50 g of ice cream or yogurt. People, just can't tolerate the milk sugar, doctors prescribe calcium in combination with lactase.